Tooth decay is the process where the tooth structure breaks down to form a cavity, also known as tooth decay. This can occur on any surface of the tooth with common areas being between the teeth and in the small grooves in the biting surface of teeth. 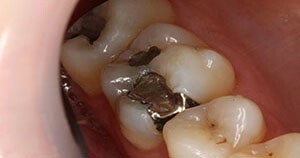 Decay can also develop under existing old fillings that are beginning to fail. To prevent pain and more extensive dental treatment, dentists remove decay and restore cavities with fillings.Dr Rickman does not use the mercury-based amalgam material. Typically, a tooth-coloured composite resin material, selected specifically for your tooth colour, will be used to maintain your unique smile. Composite resin is ideal for small to medium restorations as they can withstand moderate biting pressure. 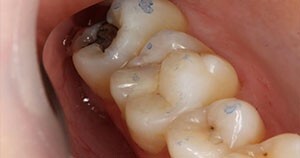 In areas where biting pressure is very intense or the structural integrity of the tooth is compromised a ceramic inlay or onlay may be recommended.